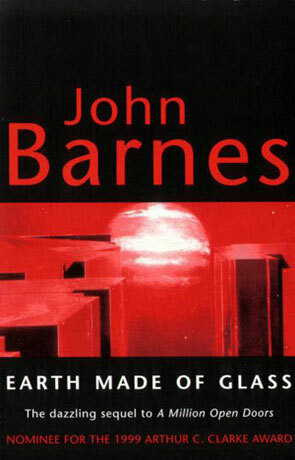 Earth Made of Glass is the second volume in the Thousand Cultures series by the American author John Barnes. It has been ten years and Giraut and Margaret of "A Million Open Doors" have been working as diplomats/undercover agents on just about every possible world in The Thousand Cultures. They are both older and wiser, but none the less their marriage is starting to crack at the seams. Not wanting to turn the book into the SF version of "how to heal your marriage", Barnes sends them off to Briand – a hot, high-gravity world with two cultures on the brink of war. There's not much help there for a sick marriage – unless constant sweating, aching muscles, and unending street violence cheers you up. The first culture on Briand is Tamils following the Cankam poetry of the ancient Tamils. The second culture is trying to re-live the Maya culture of South America before the arrival of Columbus and the Spanish. The last one is close to feudal and totally controlled by the temple lords. Poets control the first one. None of them are cultures that any normal person would want to join. Normally these two cultures weren't supposed to come into contact with each other, but a natural disaster has forced the Mayans to live with the Tamils for the last couple of centuries. Giraut fights to reconcile not only these two cultures, but also to rebuild his relationship with Margaret. As in A Million Open Doors, Barnes uses the two cultures to point to faults within them both, but this time the criticism is less pointed and more weight is put on Giraut's character. But the mood of the story is grimmer, because of Giraut's failing relationship with Margaret and his inability to do anything about it. There are few small positive incidents between our two main characters and between the two cultures, but they are far between and I can tell you now that not everything ends well. Barnes is dark, grim and serious, but sneaks in a joke here and there, thus keeping it all bearable. Not as interesting as A Million Open Doors, but a good enough sequal.